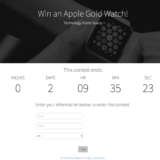 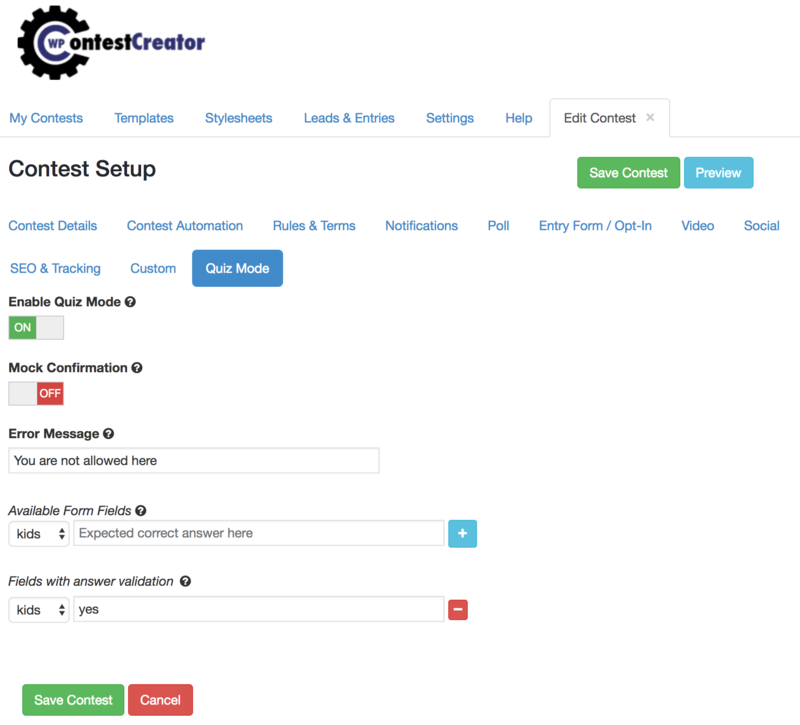 With WCC Quiz you are in total control of who enters your contest, and who doesn’t. 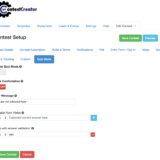 It is very simple to use – just select the form fields on your contest registration form you want to validate answers, and enter the correct answer you expect the participant to enter. 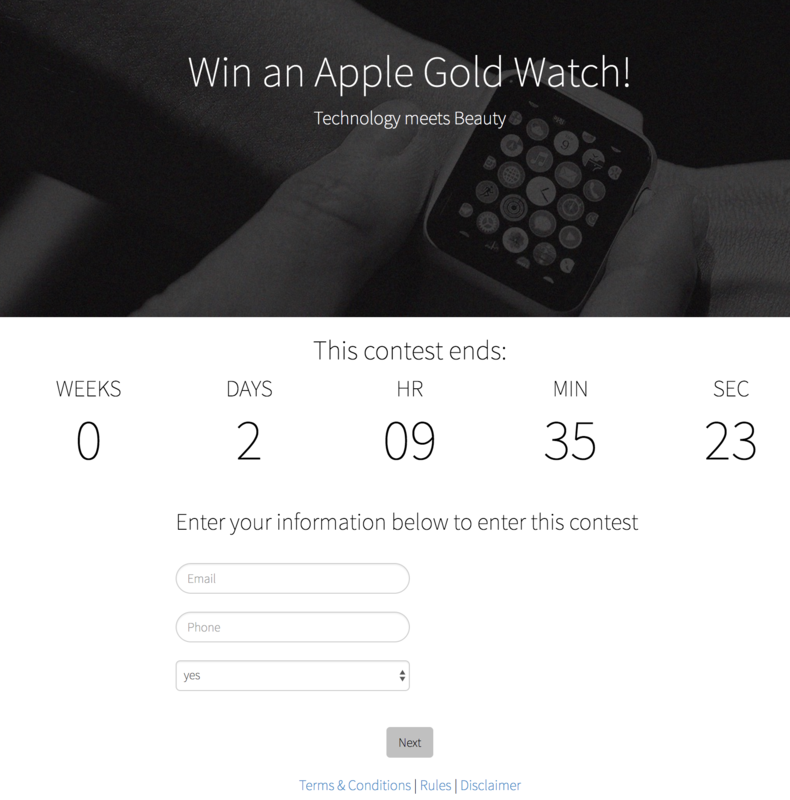 Once you launch your contest, the contest registration form will check for these answers and if the participant does not answer them correctly, it will not allow them to join the contest.